Kuwait, September 24, 2018: Bianca, the Italian restaurant chain, has opened its first branch in Kuwait in partnership with the Tamdeen Food Company, the food and beverage division of the Tamdeen Group. The traditional Italian restaurant was launched at Al Kout Mall, on Wednesday, 19 September 2018. The latest addition to the large-scale Al Kout project, the launch of Bianca comes as a result of the chain’s great success in the region through its two branches in Dubai, UAE. Bianca offers diners a perfect blend of delicious Neapolitan cuisine and innovative flavors to satisfy all tastes. The restaurant relies on both fresh local ingredients and others imported directly from Italy, such as extra virgin olive oil and balsamic vinegar. It also features many other dishes made with mozzarella and burrata cheeses, in addition to various pastas from around Italy’s famous food regions. 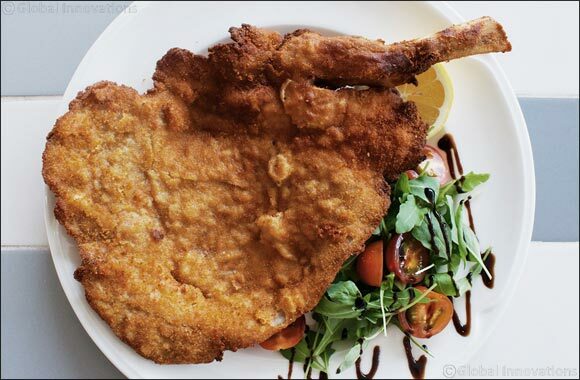 Bianca will serve more than 20 types of authentic Neapolitan pizzas baked in an artisanal wood-fired oven, including the famous Cotoletta Milanese, prepared with 500 grams of gently fried and breaded veal. Diners with a sweet tooth are also in for an exceptional experience. Bianca’s Chef has chosen a variety of traditional Italian desserts, ranging from traditional tiramisus and angioletti with Nutella - small pieces of pizza-dough, fried and tossed with sugar and an abundance of Nutella - to the Bianca cake, a fluffy cheesecake made with fresh ricotta cream cheese. With its authentic Italian atmosphere, Bianca Kuwait can accommodate up to 130 diners, where they can experience unique Italian cuisine in a spacious indoor dining area or on the restaurant’s distinctive terrace, equipped with comfortable sofas and hammocks. Diners can also enjoy a front-row seat to the oven and watch their pizzas being prepared. Enveloped with traditional Italian music and classic melodies, the restaurant’s ambiance and wonderful atmosphere will serve up an experience that is sure to create unforgettable memories. The founders have developed the menu to showcase their origins of Naples, in southern Italy, the traditional Neapolitan ambiance and authentic Italian flavors. In his role as the Head Chef, Fulvio Ventura, who also grew up in Salerno, Naples, is in charge of taking the dining experience to the next level and strives to astonish guests with incomparable creative flavors maintaining the high standards of the restaurant. Bianca is open seven days a week from 09:00am to 01:00am. Bianca is widely recognized from within the food industry and the media. The restaurant has received the ‘Ospitalit� Italiana’ certificate from the Italian Industry & Commerce Office in the UAE; a quality seal given to Italian restaurants for their dedication to maintaining the highest quality standards and promoting the traditions of Italian agricultural and food products. Kuwait experiences Great European Products!